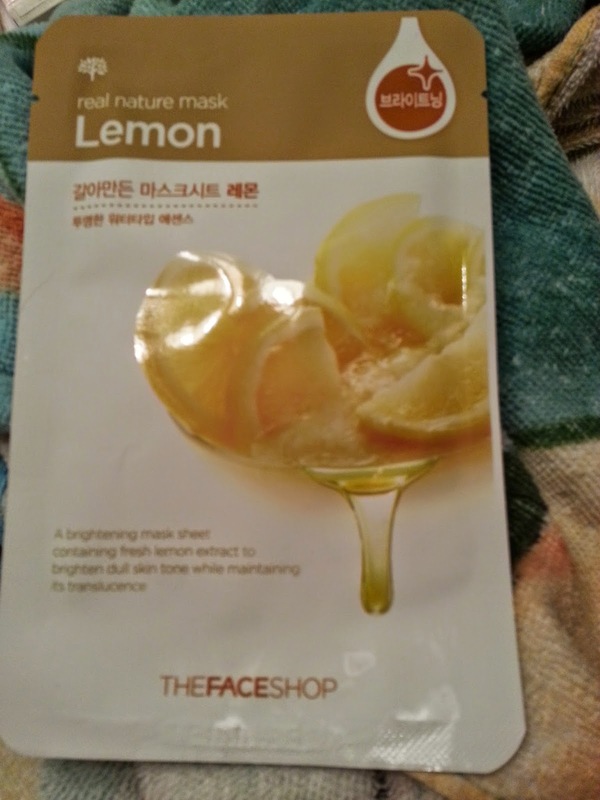 This week I gave The Face Shop - Lemon mask a chance! Again, this was the first mask I picked out of my pile, so I wasn't being picky about anything. My skin has been pretty co-operative lately, which is a nice change from the constant dry feeling. It must mean spring is on the way! Lemon - A brightening mask sheet containing fresh lemon extract to brighten dull skin tone while maintaining its translucence. 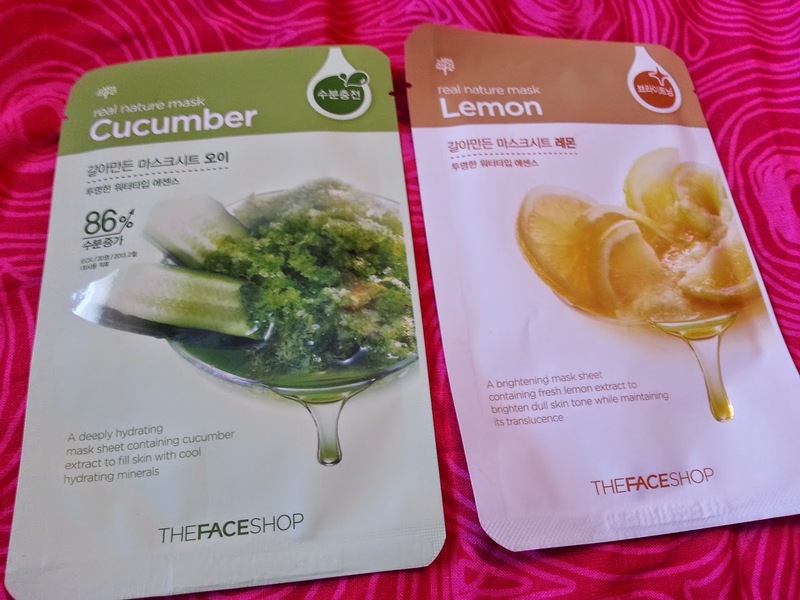 Again, this time I opened it up, squeezed the extra essence out of the package, applied it to my face, then put on my mask. I really find these to be too big for my face! I've been told by an eye glasses place, that I have a smaller face (in her words, I have a face like a child... thanks... lol) so I have difficulty find glasses or sunglasses that work on me. So I guess this may be why I'm having a difficult time fitting these on my face. Anyway, I used this for the full 20 minutes, and while I didn't notice any brightening effects, nor any moisturizing effects, I did enjoy the scent of this one. It was lightly scented with lemon, which was much more enjoyable than the red ginseng! While this wasn't my favourite mask, it definitely wasn't the worst. It didn't leave my skin as sticky as previous masks, and it absorbed pretty quickly. The rice has been my favourite so far. I can't believe I have never thought to first apply the extra essence to my face first?! Genius - just did it last night and it was awesome!